Saturn Inflatable Boats, Rafts, Kayaks and iSUPs come standard with 2 (Two) Year of Limited Manufacturer Warranty. Optional 3 (Three) Years Extended Hull Warranty is available, for up to 5 (Five) Years! Extended Hull Warranty is avalable now! Protect your Saturn for another Three (3) Years with extended hull warranty for only $100. This will extend standard two (2) years warranty against manufacturers defects to five (5) Years from the date of purchase. If your boat, kayak or raft will become defective, we will repair or replace its hull at no charge. Damage and normal wear, tear are not covered. Extended warranty applies to boat, raft or kayak hull only. Accessories are excluded. 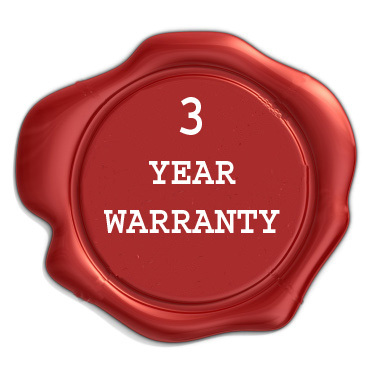 Your Warranty Registration should be on file with us to enjoy benefits of extended warranty. You have six(6) months since purchase of the boat to obtain extended warranty. We will pay for the 2 way shipping within 7 days of a delivered purchase if the purchased item is defective or an error in shipping has been made on our part. 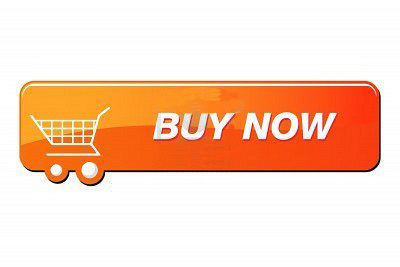 After 7 days, we will pay for the return shipping fee to you within the 90 days of purchase. Customer will pay for 2 way shipping fee after 90 days when warranty service required. Read information below, make sure that damage is covered and within Limited Manufacturer Warranty timeframe. If it is, please make digital photos clearly displaying nature of the damage and email to sales@saturninflatableboats.ca, along with detailed description of the problem before reapairs. Please send us overall picture of the product, picture of the HULL ID atatched to the product, so we can clearly identify model and HIN number. If you are unable to provide us with pictures showing nature of the issue, then please send item back to us for inspection to: Saturn Inflatable Boats Canada, 1266 Sherwood Mills Blvd, Mississauga ON L5V1S6, CANADA. Please email for RMA number. If you just received merchandise and found accessories that are defective or damaged during shipment, please send it back for a replacement. Please use FedEx Ground for all returns. Customer is responsible for shipping charges to us. You will take Product to the nearest authorized Repair Shop, and we will reimburse your cost, up to pre-approved amount, once we will receive copy of the receipt for repairs. If necessary, we will assist you in finding repair shop near you and will negotiate repair costs. If defect is small and will not affect normal operation of the Product we will issue price adjustment or credit according to the level of defect. If you are able to fix problem on your own, we will send you requested repair parts free of charge within Canada. Example: valve replacement, D-rings, fabric, glue, etc. We may also choose to offer you credit or refund depending on the nature and difficulties of repairs. If damage is extensive and repair facility is not available within reasonable distance, customer will deliver Product via FedEx Ground to our facility for repair or exchange. Facility address: Saturn Inflatable Boats Canada, 1266 Sherwood Mills Blvd, Mississauga ON L5V1S6,CANADA . Customer is responsible for the shipping charges to us. 2. This warranty is as follows: A six (6) month guarantee on plywood seats and oars and three (3) month on the carry bags, boat covers, seat cushions with underseat storage bags and front bow bags of which the Accessories are manufactured will maintain its original purpose under normal conditions during such period. 1. We warranty each new SATURN inflatable boat, raft, kayak or paddle board thereto (hereafter referred to as "Product") manufactured by us, to be free from defects in material and workmanship. 3.1.0 Commercial use warranty is 3 months. 4.B. Use of an accessory or part not manufactured or sold by Saturn Inflatable Boats Canada. 4.11. Has been damaged as a result of shipping, warehousing, or storage. 6. Claims shall be made under this warranty by delivering the Product for inspection to Saturn Inflatable Boats Canada, 1266 Sherwood Mills Blvd, Mississauga ON L5V1S6, Canada provided such service is covered under this warranty. Purchaser shall pay for all related transportation charges. All shipping expenses related to a warranty claim are the Purchaser's responsibility. If the service is not covered by this warranty, purchaser shall pay for all related labor and material and any other expenses associated with that service. Any Product or parts shipped by purchaser for inspection or repair must be shipped with transportation charges prepaid. 7. Saturn Inflatable Boats Canada, Inc obligation under this warranty shall be limited to repairing a defective part, or at our option replacing such part or parts as shall be necessary to remedy and malfunction resulting from defects in material or workmanship as covered by this warranty. We reserve the right to improve or change the design or any Product without assuming any obligation to modify and Product previously manufactured. 10. Please noted that in an unlikely event that received merchandise, or any of its parts need to be replaced for any reasons, Saturn Inflatable Boats Canada will deliver replacement parts to the Freight Forwarder of your choice ONLY within Canada. Customers outside of Canada are responsible for shipping charges associated with shipping of merchandise from Canada to destinations abroad. Saturn Inflatable Boats Canada will not be responsible for shipping charges abroad of Canada. 11. Promotional items that are free or are given at no charge, are excluded from warranty. 12. We will pay for the 2 way shipping within 7 days of a delivered purchase if the purchased item is defective or an error in shipping has been made on our part. After 7 days, we will pay for the return shipping fee to you within the 90 days of purchase. Customer will pay for 2 way shipping fee after 90 days when warranty service required. Limitation and Disclaimer of Warranty. EXCEPT AS HEREIN ABOVE SET FORTH, MANUFACTURER MAKES NO WARRANTY OF ANY KIND, EXPRESS OR IMPLIED, AND THE LIMITED WARRANTY HEREINABOVE SET FORTH IS EXPRESSLY IN LIEU OF ANY WARRANTIES AND REPRESENTATIONS, EXPRESS OR IMPLIED, AND ALL OTHER OBLIGATIONS OR LIABILITIES ON THE PART OF MANUFACTURER. IF, WITHOUT LIMITING AND NOTWITHSTANDING THE FOREGOING, ANY WARRANTY SHALL BE FOUND TO EXIST BEYOND THE LIMITED WARRANTY HEREABOVE SET FORTH, ANY SUCH ADDITIONAL WARRANTY SHALL BE LIMITED IN DURATION TO THE TERM OF THE REPAIR OR REPLACEMENT WARRANTY PROVIDED FOR HEREIN WITHOUT APPLICATION OF EXTENDED WARRATY. WATER ACTIVITES ARE, BY THEIR NATURE, HAZARDOUS. USERS OF MANUFACTURER'S PRODUCTS ASSUME ALL RISK AND LIABILITY WHATSOEVER RESULTING DIRECTLY OR INDIRECTLY FROM THE USE OF SUCH PRODUCTS, WHETHER USED SINGULARLY OR IN COMBINATION WITH OTHER EQUIPMENT, INCLUDING ALL RISK OF BODILY INJURY OR DEATH AND WHETHER ARISING IN CONTRACT OR TORT OR OTHERWISE, AND SPECIFICALLY INCLUDING INCIDENTAL, SPECIAL, AND CONSEQUENTIAL DAMAGES. REMEDIES FOR BREACH OF CONTRACT ARISING BY IMPLICATION OR OPERATION OF LAW, EXCEPT AS OTHERWISE PROVIDED HEREIN, ARE EXCLUDED. YOUR BOAT SHOULD ONLY BE OPERATED WITHIN THE US COAST GUARD APPROVED MAXIMUM CAPACITY RATINGS AS STATED ON THE BOAT. Restrictions on Limitations and Disclaimers. SOME STATES MAY NOT ALLOW THE EXCLUSION OR LIMITATION OF INCIDENTAL OR CONSEQUENTAL DAMAGES, OR THE EXCLUSION OR LIMITATION OF THE DURATION OF IMPLIED WARRANTIES. THEREFORE, SOME OR ALL OF THE LIMITATIONS AND/OR EXCLUSIONS OF WARRANTIES AND REMEDIES SET FORTH ABOVE MAY NOT APPLY TO YOU. THIS WARRANTY GIVES YOU SPECIFIC LEGAL RIGHTS, AND YOU MAY ALSO HAVE OTHER RIGHTS, WHICH VARY, FROM STATE TO STATE. If any provision of this Limited Warranty is unenforceable, for any reason, all other provisions hereof shall remain in full force and effect.